Want Some Thrills With That Rich and Thick Heritage? Another brand close to this editor’s heart is the flagship product of a company originally known for “57 varieties”. Founded in 1869, the H.J. 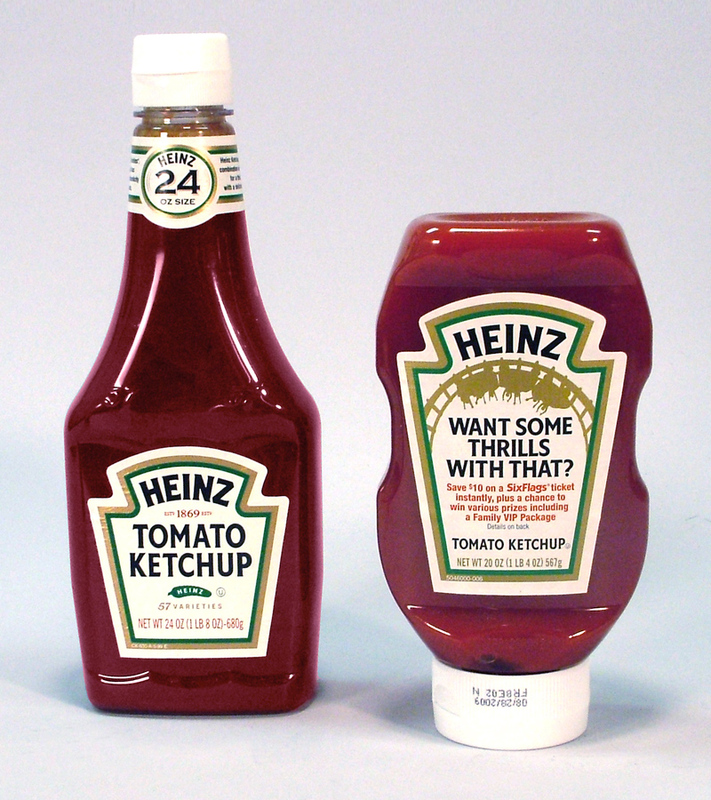 Heinz Company now manufactures and markets thousands of products under a number of differing categories brands—from Classico to Ore-Ida—but is best known in the US for the ketchup that shares the founder’s name. Heinz ketchup is a favored condiment within North America and the familiar keystone logo is recognized across the globe as a symbol of many other products. As an iconic brand, the ability to leverage the Heinz Ketchup package as a primary platform for a promotional campaign is truly remarkable. The photo below—aside from the obvious product form differences—helps to illustrate the power of the visual equities of this brand to carry a message. Can You Learn from a Relationship Expert? 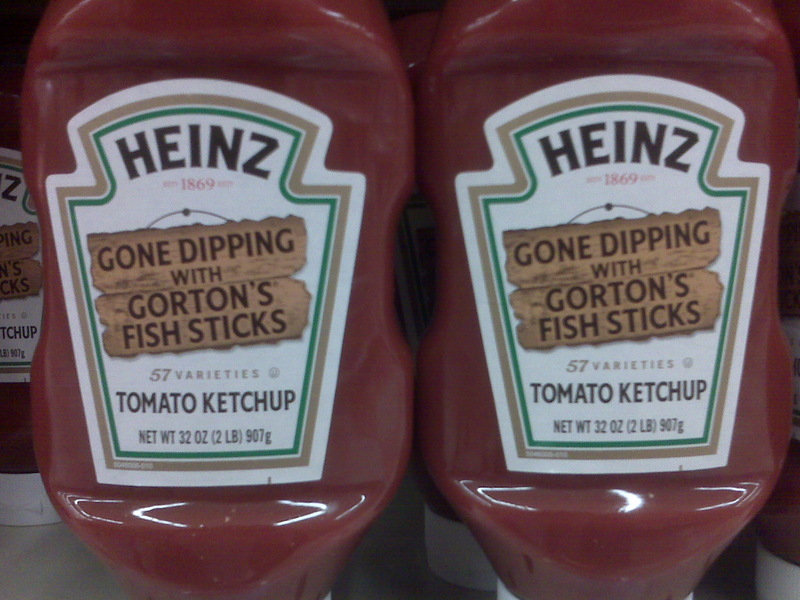 I always loved the Heinz brand. It was always true to itself – and still is. Please elaborate more on the way the ‘messaging’ labels concept was born and how it has proven to be successful. I’m really curious about that. And, you’re right – it definitely demonstrates the strength of the brand. I’ve added a couple more shelf shots to help illustrate. 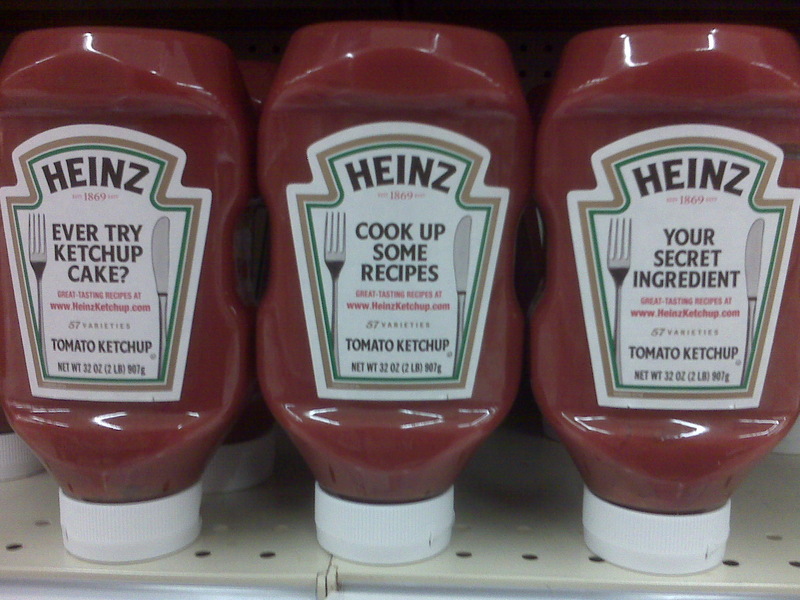 I can’t speak to the birth of the concept, other than from observation–Heinz is a staple in our household. While many brands and packages utilize promotional messaging to disrupt the original message and create a call-to-action, Heinz is seemingly able to use the primary label as a platform for a variety of messages. From Six-Flags to Fish Sticks, these messages are bold and clearly the focus of the package with a specific tonality and confidence. Ever try ketchup cake?